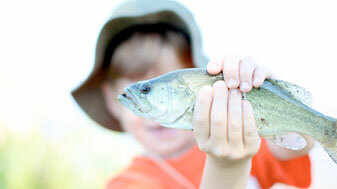 Don’t miss out on the fun and excitement of the Kids Only Fishing Tournament. There will be prizes awarded for several age groups who have the largest (weighing the most) fish! Registration is required at Lakeside Pavilion at 9:00 a.m. and the Tournament is from 10:00 am until noon. Children require adult supervision. Weigh-ins can be done anytime during tournament with final weigh-in at the end of the tournament. Only live fish will be weighed. Stringers are prohibited. Only fish baskets or buckets can be used. An Ohio State Fishing License may be required for persons age 16 through 65 who have resided in Ohio for the past 6 months. Only 1 pole per child will be allowed and you must bring your own.